The Shoulder Widening Exercise develops natural alignment of the shoulders by widening the shoulder blades out to the sides, rather than rolling them forward or pulling them back. 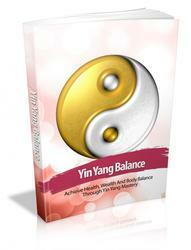 In all body segments, healthy alignment leads to an increase of space. If the shoulders are pulled back, then the width of the upper back is decreased and the upper spine is compressed. If the shoulders are rolled forward, the chest collapses and its width is decreased. However, if the shoulders are dropped down and widened out to the sides, then there is an equal opening of space across both the front and back of the upper torso. In several of the Iron Shirt exercises, flexibility and control are developed by widening the shoulder blades out to the sides. One feels the chest sink in, but not collapse, and the shoulders drop down. This movement makes the necessary connection to the rib cage, which will permit the Chi energy to flow, thus giving the practitioner scapulae power. Remember to let the shoulders return to a natural "idling" position of dropped and widened out to the sides after your Iron Shirt practice. Do not permit them to roll forward at all so that there will be no significant loss of potential scapulae power. You can practice while sitting, standing, or in the Structural Alignment Position Against Wall. Be sure that the spine is erect. Aligned placement of the shoulders must begin with an erect neck head and an erect upper back/chest. Slowly release the pulling out of the elbows and the active drop ping and widening of the shoulders. Maintain the same dropped and widened position of the shoulders which are now in a relaxed state with the arms hanging loosely at your sides. If your shoulders are usually rolled forward, you will also need to roll them back simultaneously while performing this exercise. Be sure not to roll them back so far that the shoulder blades begin to move toward each other. 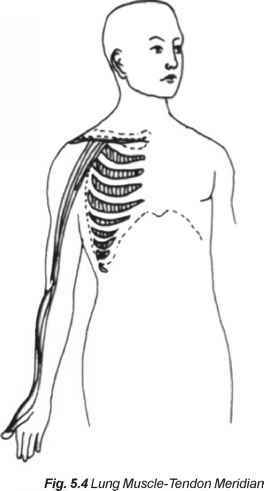 While practicing this exercise, feel which muscles are doing the work of active shoulder alignment. Muscles in both the chest and back will be working. Then, after mastering (a) through (d) above, begin to practice actively aligning the shoulders while the arms remain at your sides. You will be able to align the entire upper body easily and quickly whenever you wish. Be sure to maintain the dropping and widening of the shoulders, even when you raise the arms above shoulder height. This stabilizes the shoulders and makes arm movement steadier and more grounded while lessening the build-up of tension in the shoulders and neck. What workouts widen shoulder blades? Can dropped shoulders be widen? Does the pull down widen shoulders? How to widen shoulders blades?